With a prime riverfront setting, lush landscaped gardens and a free-form tropical pool, Anantara Riverside Bangkok Resort provides the perfect setting for Songkran celebrations. With three days of festivities lined up 13 – 15 April 2019, spend the day splashing then head to the river for cultural traditions and a sumptuous spread. Each evening begins with a Buddha bathing ceremony, followed by a contemporary Thai dance performance. Dine on fresh seafood, fiery barbecue, and Thai specialities from across the kingdom as the show unfolds. Featured throughout Songkran is a traditional Thai delicacy at Riverside Terrace Restaurant, served in royal palaces and perfect for the hot summer. 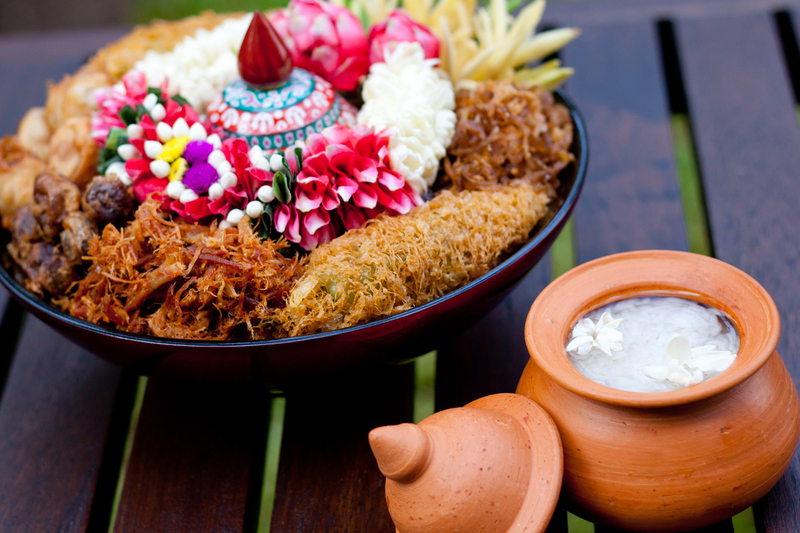 Khao Chae consists of rice soaked in cool, floral-scented water, served up with an array of toppings. Stuffed peppers, shrimp paste balls, and fresh mango and ginger are favourites. 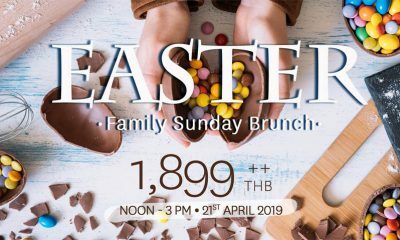 Sunday 14 April 2019 brings fun for all the family with a special brunch at Trader Vic’s. Signature dishes from the Pacific Rim are enhanced by Thai favourites and Khao Chae. Kids can enjoy playing in the bouncy castle, with their own mini-buffet and sweet treats to recharge. 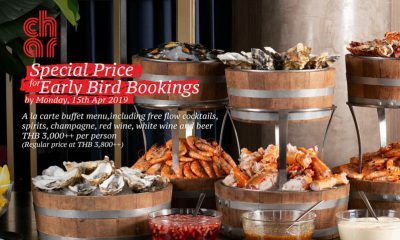 The evening buffet at Riverside Terrace is priced at THB 1,499++ per person, while Sunday brunch at Trader Vic’s begins at THB 2,200++ per person. Kids enjoy special rates, and reservations are recommended.